Hamlin Beach State Park…Definitely a Day at the Beach! castles decorated with shells and pebbles…. 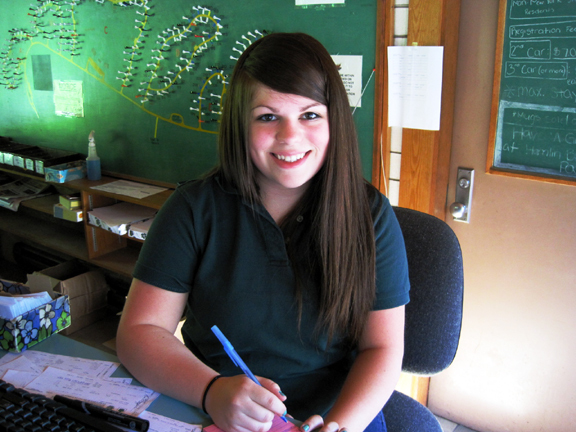 So, join me on our trip to Hamlin Beach State Park. Last Friday was one of those sparkling summer days that delight me to have returned to the Finger Lakes. 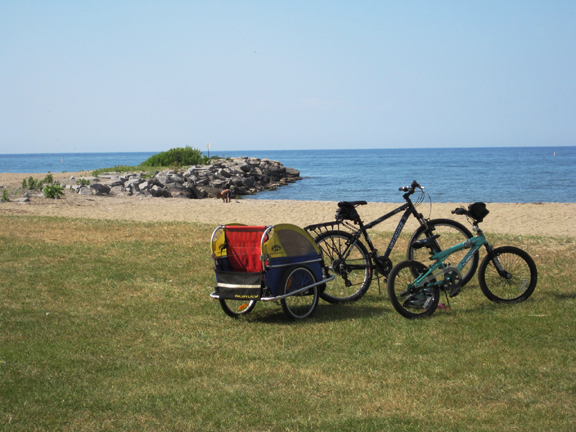 My daughters and I gathered beach stuff and headed west on Lake Ontario State Parkway, a wonderfully scenic route that is part of the Great Lake Seaway Trail. When we arrived at the park, a cheerful gate attendant greeted us and we paid the admission fee. The vehicle entrance fee for the park from mid-May to mid-June and from mid-September-Columbus Day is $6 per car. From mid-June to Labor Day, it’s $7 per car. For Non-Profit Buses it’s $35 and for Commercial Buses it is $75. 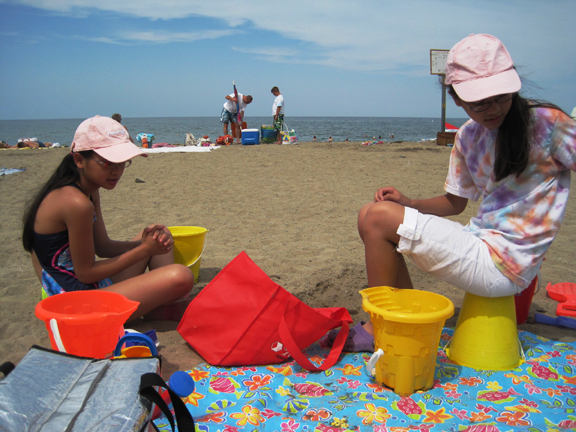 There is no additional beach fee, and for 2011, the beaches are open June 18 through September 5.
Who doesn't love a snack at the beach?! We headed to one of the two areas open for swimming. As I unpacked the picnic lunch, my daughters began masterminding their moat to surround us. 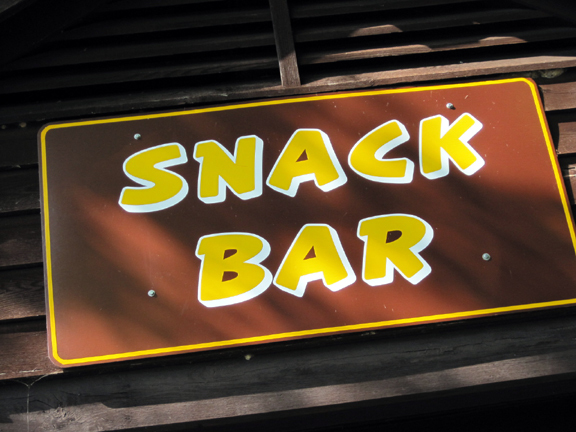 It turns out we could also have purchased goodies at a snack bars or brought food to grill and eat in the nearby picnic groves. I noticed how attentive the life guards were, and I loved the fact that playgrounds were so close to the beach and picnic area. As a side note, parents or grandparents should be advised that kids will want shorts or pants on (rather than swimwear) when going down the slides – they’re the vintage metal “hot seat” super fast slides! Several volleyball nets were set up along the beach and further up the beach, a basketball court stood ready for a game. I understand that tennis courts are also available. The beaches were clean and the water was warmer than we expected, considering the relatively cool weather we’ve had this summer. The swim bathhouses have restrooms, changing and shower facilities and a limited number of lockers. The beach was fairly empty for such a glorious day, but I’ve heard that it can be bustling on beautiful weekend days. Swimming is allowed only when Lifeguards are on duty at guarded beach areas from Thursday to Sunday, 11 a.m. to 6:45 p.m. (bathhouse closes at 6 p.m.). 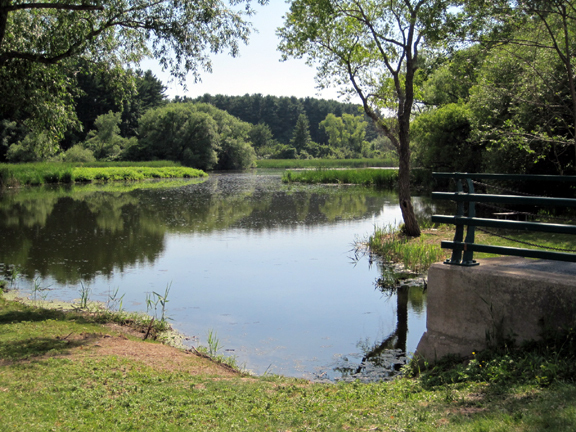 Hikers and nature lovers will enjoy Yanty Creek and the Yanty Creek Nature Trail, where I saw a large bird take loft that may have been a heron. Everywhere throughout the park, dozens of bicyclists who’d brought their bikes were enjoying leisurely rides on roads they had to share with very few other vehicles, but I understand that there are also dedicated biking trails. Boat launch areas and a fishing pier make it easy for boaters and fisherfolks to enjoy their favorite pastimes! In the winter, snowmobiling and cross-country skiing area also allowed. On our way out of the park, we stopped by the camping office and spoke with Luke and Ann, who were welcoming campers, carefully covering park rules and offering helpful directions and advice. “It’s pretty busy for a non-holiday weekend,” Ann shared as she jotted down the pricing for me while Luke pegged another campsite as full on the wall-size map of the park. together – and others are surrounded by trees, offering more privacy. Bathhouses are situated close to most sites and the camp store provides the convenience of a laundry. A rec center is adjacent to the camp store. Tricia loves that Cosmo can camp with her! 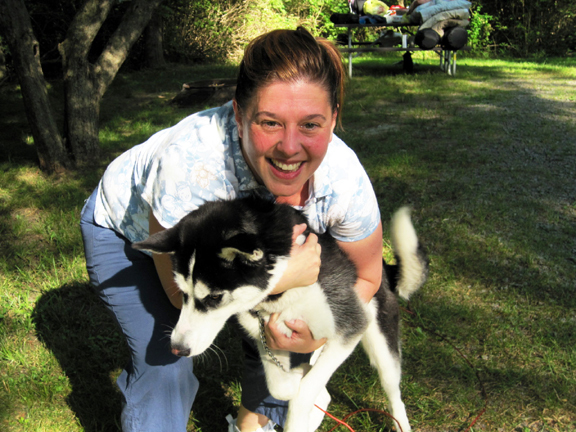 Campers are allowed a maximum of 2 pets per site, pets must be kept on a leash of 6′ or less and certificate of current rabies shots is required. This pertains to the pets of visiting guests as well. 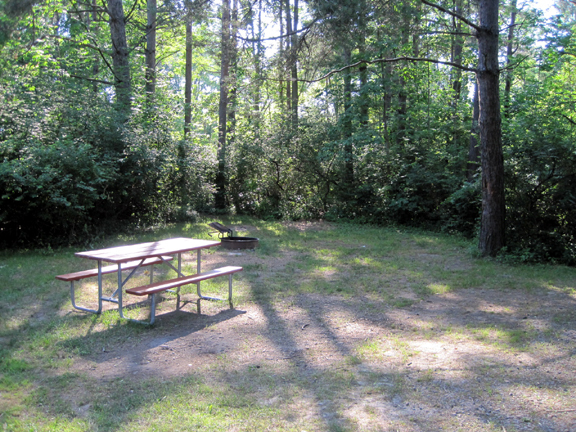 Camping is available from May 14 through October 11, 2011 and the fees are $21/night/site for Sunday through Thursday nights and $25/night/site for Friday and Saturday. Out-of-state residents pay an extra $5. Ann was kind enough to clarify that there is an additional one-time fee of $7 to park a second car on the camp site and a third car would incur a $7 per night fee. 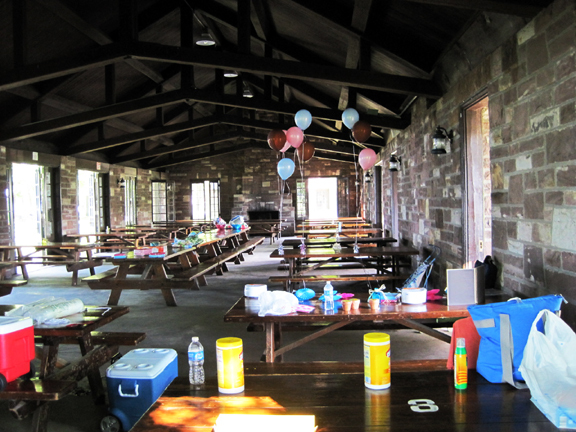 For those looking for a place to hold a reunion, special event or a wedding, Hamlin Beach State Park has five beautifully rustic shelters that run from $50-$65 for the open shelters and $80 to $110 for the closed pavilions. The one we saw had a stone fireplace inside and the porch outside had one with three grills. The pavilion was filled with well-tended picnic tables. Weddings in any of the pavilions can be booked in the Park Office next to area #2 or by calling the Parks Manager during normal business hours between Tuesday and Saturday at (585) 964-2462, who will go over all details of holding a wedding in the park. Hamlin Beach State Park is located at 1 Camp Road in Hamlin, NY. For those whose GPS does not recognize the address (mine did not), simply take Ontario State Parkway to the Hamlin Beach exit and follow the signs. GPS coordinates are Latitude 43.355236 Longitude -77.946754. 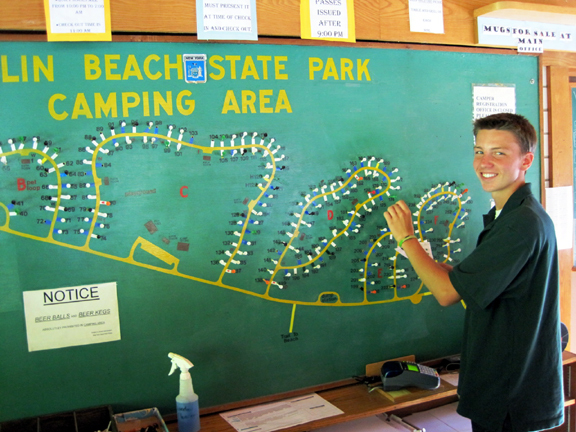 Whether you stay a day or a week, Hamlin Beach State Park is a great family outing! All photos and text copyright 2011 © Carol White Llewellyn. All rights reserved. Hi! It’s Ann from the camping office. Your article was great and well-written, and I am happy to have helped you with it! P.S. The second car has a one time fee of $7. The third car and beyond is the $7/night. Just thought I’d clear that up for you! Thank you for your note and for clarification on the additional cars. I’ll make that change. And thanks again for your help!